Although Jesus said that you need to flee if you are still around to see the abomination when it is set up, it need not be dreaded or looked for under every rock today. The temple and sacrifices must come first. 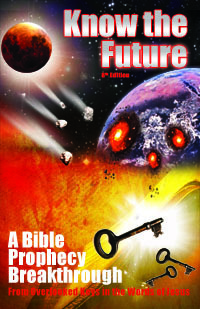 But even after they do, the wise who listen to the end time prophet of God will be walking by faith not sight. They will hear the warnings that must be given for the whole biblically illiterate world and they will leave without needing to see the abomination of desolation (for details read this article about the 144,000 and the Woman ).